Be an angel and create and ascertain a smashing impression on anybody by wearing this dazzling pink-purple colored partywear gown, showcased by Jennifer Winget. 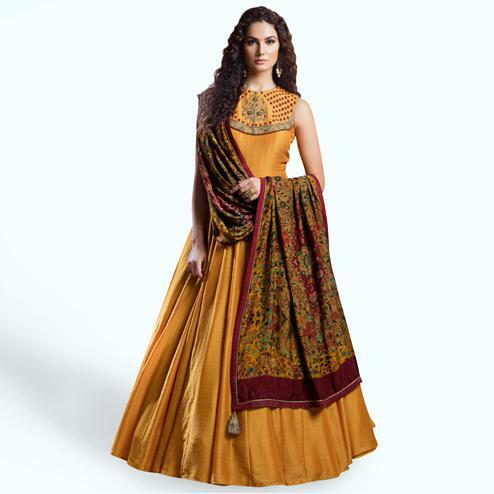 This georgette & silk gown is stylized by resham cord dori, embroidery & zari work. 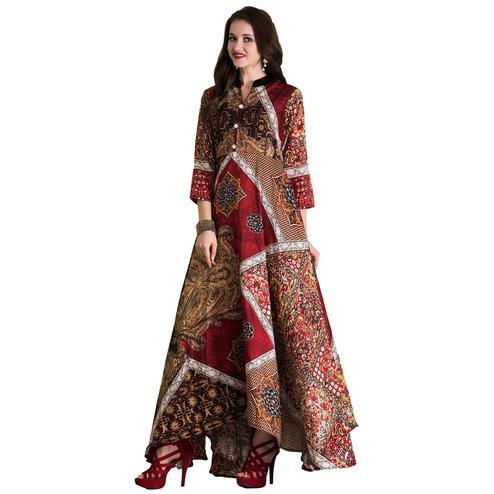 Comes with santoon lining and chiffon dupatta all synchronized well with the latest trend and style. 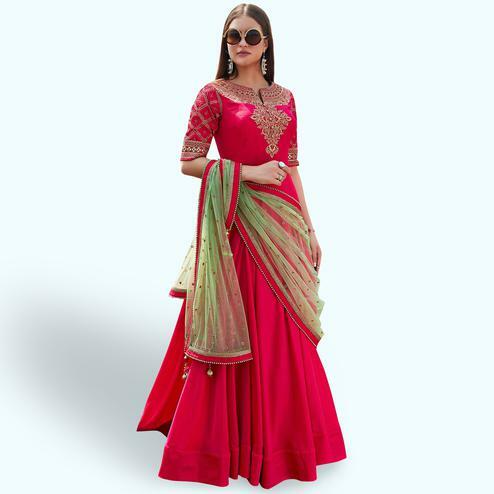 This stitched outfit is perfect to wear at parties, functions & occasions. 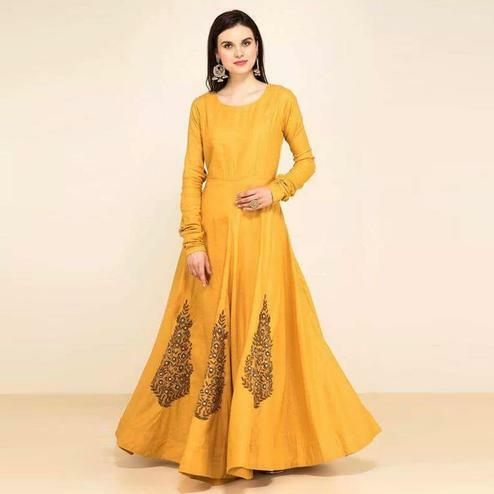 Team this gown with classy accessories and high heel for a complete look. Get this gown now before it's gone out of stock. Note:- The actual product may differ slightly in color and design from the one illustrated in the images.